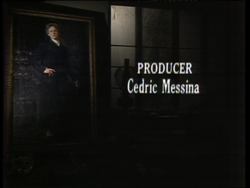 Cedric Messina must be one of British television’s most prolific producers and directors of dramatic programmes, with at least 250 drama and opera productions to his name. He worked extensively in television for 25 years, always for the BBC as he was committed to the principle of public service broadcasting. He was born in Port Elizabeth, South Africa to Sicilian and Welsh immigrant parents on 14 December 1920. He was brought up and educated in Johannesburg while his father worked in the copper mines of Zimbabwe (then Rhodesia). Messina joined the South African Broadcasting Corporation (SABC) in the 1930s, initially working as a radio announcer and later as a producer. His broadcasting career was interrupted by the Second World War, during which he served with both the British and American armies.